Eastern Front German soldier in Winter clothing with Sheepskin overgarment. Over garments made of animal skin were frequently used by many branches of the Wehrmacht during World War II in cold weather. Some were made at factories within the Reich and occupied territories, others made locally by unit tailors in the theatre of operations. A wide variety were made, some conforming to conventional patterns, whilst others were of a more personalised nature. 35123 WW2 German in Sheepskin Coat depicts a Wehrmacht soldier during Eastern Front Campaign. Kit comes in company’s cardboard box labeled with a photo of the figure painted by Artur Miniszewski and parts are served inside a zip-lock bag. Figure is sculpted in 1/35 scale by Nino Pizzichemi and cast in gray resin. Sculpting is crisp with well defined details and casting is very clean with no mistakes and no need for a cleanwork. It comes in 3 pieces - body, head and left arm. Body comes in a standing pose with his right arm in his pocket. He wears a knee-length, field-gray color M36 greatcoat with bottle green wide collar and double breasted front with buttons. He has a brown leather WW II German Army belt with metal buckle on his waist and knee-high, black leather boots as for the footgear. Over his greatcoat, he wears a Sheepskin winter coat with large collar and two slash pockets on sides. 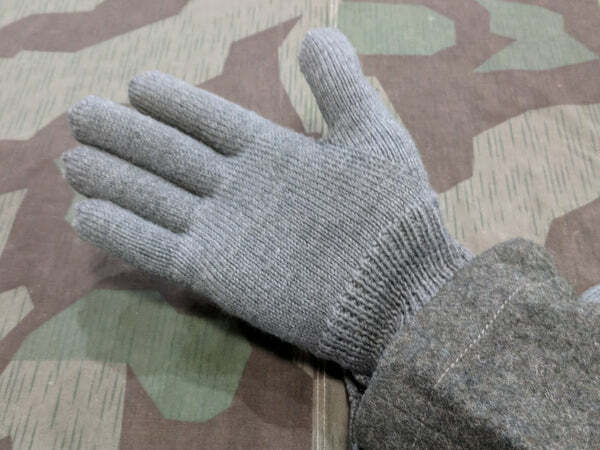 He has wool knit Army gloves. Cloth folds and wrinkles of the over garments, sheepskin and wool knit textures are well defined. Head makes a good fit to the neck. Facial features, open mouth and hair are nicely sculpted. He has a sidecap on his head - Schiffchen with 2 buttons in front. Left arm has a neutral pose and fits well to the shoulder. Great figure with his rare clothing, no need for cleanwork and only 3 parts to assembly. Sheepskin texture is very nice represented.It can be displayed alone or can be a part of many Eastern front or other German winter scenes. Highs: Rare clothing, ease on assembly with less parts, nice sculpt and flawless cast. Like the figure but not thrilled with the head; it doesn't look cold and "pinched"| enough for me; plus I'd rather he had a sheepskin hat as well, or the balaclava and helmet combo... perhaps they could offer alternative heads like other companies?